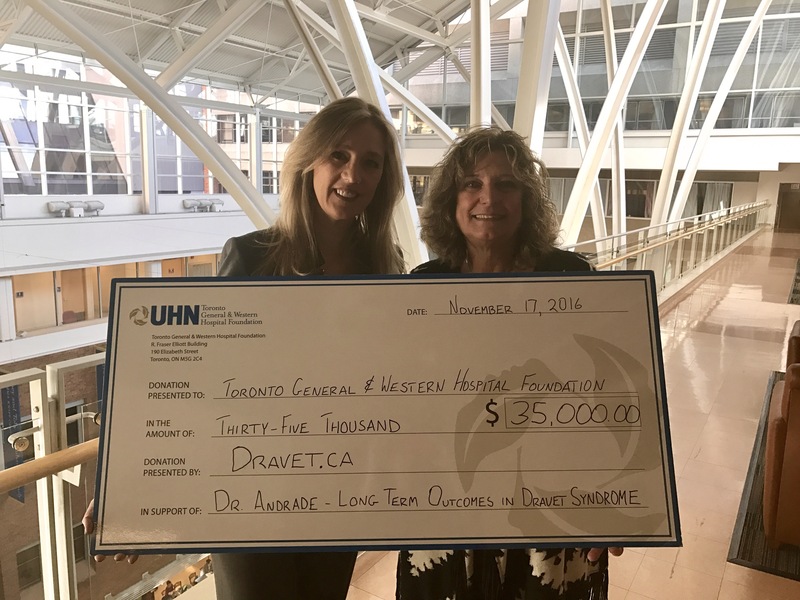 Dr. Danielle Andrade and her team were awarded $35 000 for their project studying “Long-term outcomes in Dravet Syndrome”. The first objective of their work is to investigate the progression of cognitive and behavioural changes along the course of Dravet syndrome (DS), especially after adolescence. The specific hypothesis behind the proposed research is that there is neurocognitive and behavioural decline as patients age. So far most research assessed the cognitive status in paediatric Dravet patients. Therefore, there is scant information about how subjects diagnosed with DS evolve into adulthood, from the neuropsychological standpoint. The second objective is to evaluate how adults with Dravet syndrome respond to medications traditionally used to treat children with DS. So far most studies evaluating the treatments for Dravet syndrome have been done in children. However, in our experience, adults with DS do not react in the same manner to the medications typically used for children with DS. Furthermore, the adults with DS have a different seizure severity and have new motor problems. So far there are no studies exploring how adults with DS should be treated and the treating neurologist will typically follow the treatment suggested for children. This may or may not be appropriate and it is therefore important to understand how adults with DS respond to medications.